The most relevant thing is that it looks shortscale, but it is not. It has very light thin body and an big ugly head. 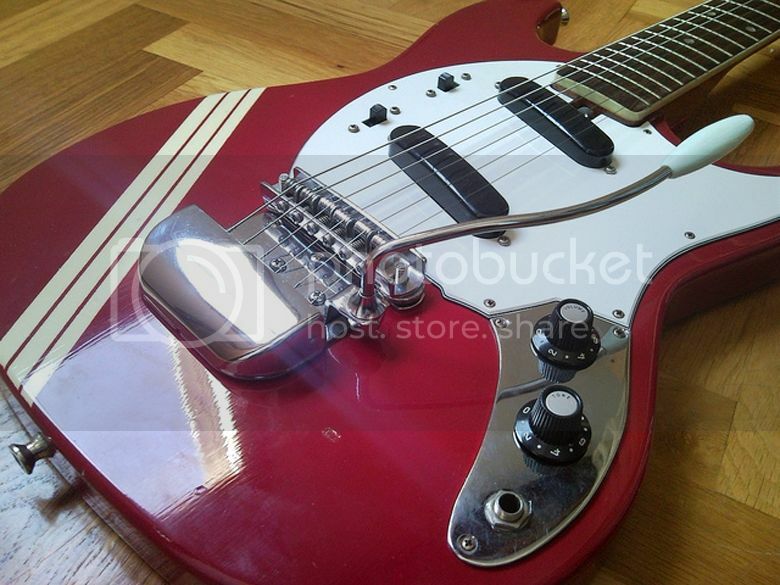 The tremolo seems to be mounted like a Stratocaster one, and it works perfecly. It came to me also with a bridge cover, but it looks ugly on it. Thanks for that, Adrián. 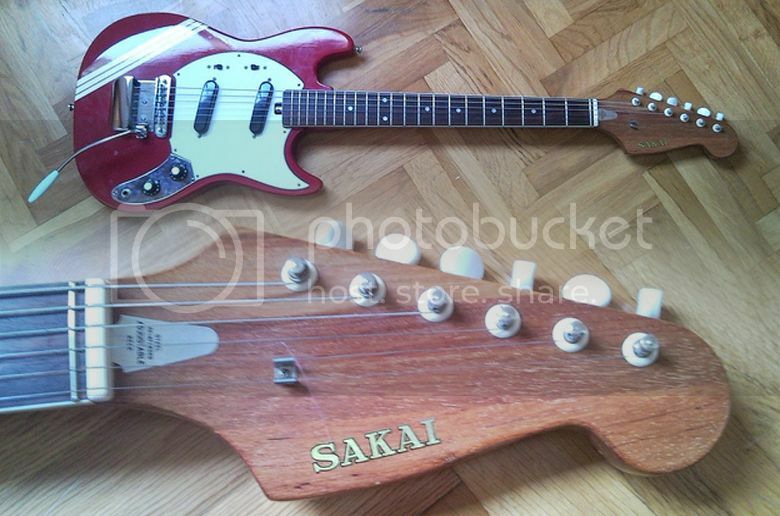 We have looked at similar guitars before on the blog, but had dismissed them as being merely not terribly accurate copies. Thanks for setting the record straight, although I wouldn't personally liken the trem on the guitar in the photos to one on a Strat. The Stratocaster has a block under the bridge through which the strings are threaded and the spring mechanism is inside the body in a cavity behind the pickups. 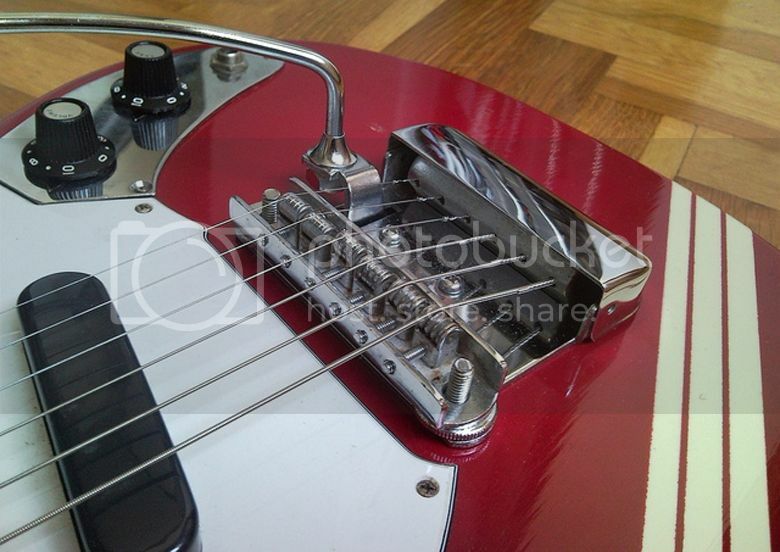 Compare this with the trem on your guitar which has an external spring mechanism at the tailpiece.